Part of our job as moms is preparing our children for school. 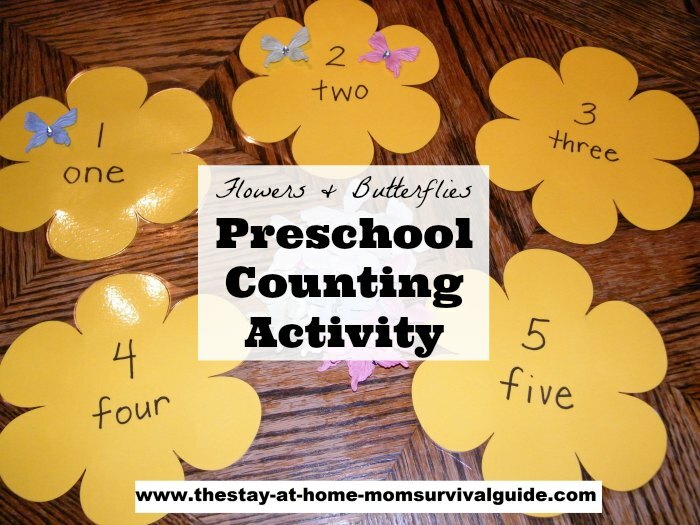 My children have been more than prepared for Kindergarten using these preschool activities at home. Whether you homeschool preschool or supplement after school. You can do so much at home, simply! 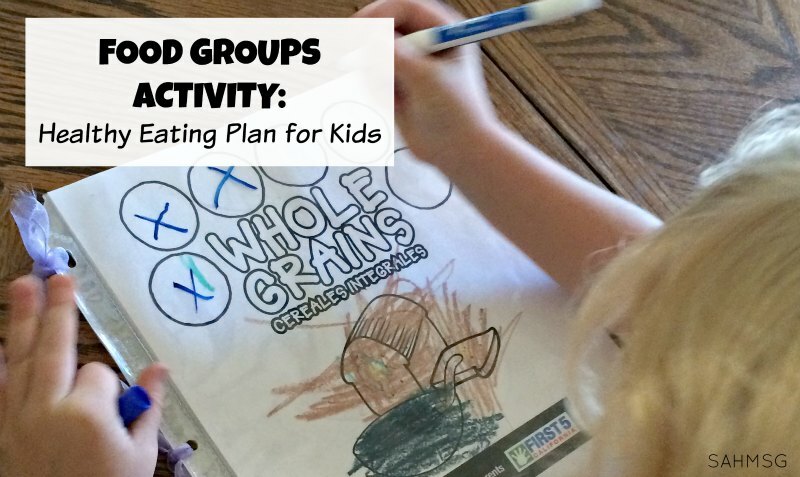 Activities that teach do not have to cost a lot of money, or take a lot of time to prepare. 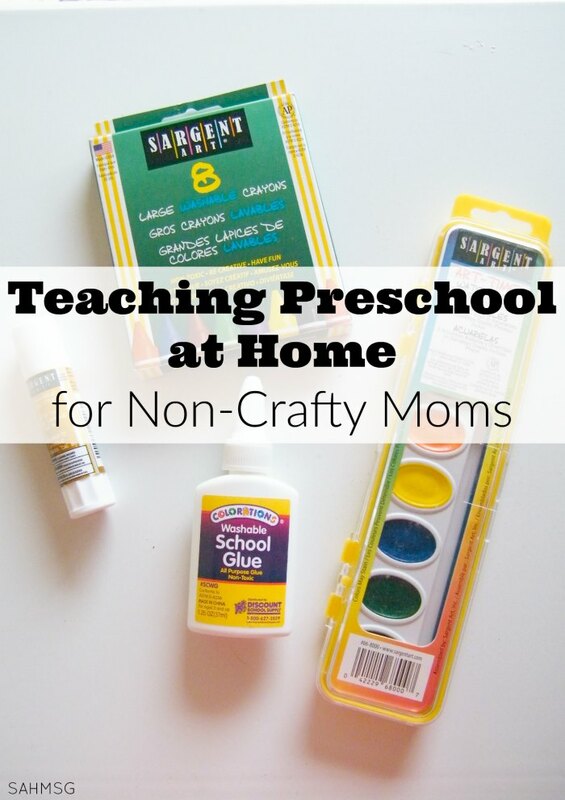 I believe you can be a non-crafty mom and still prepare your preschooler for kindergarten. Preschool for 4 year olds is wonderful, but as a former preschool teacher, enrolling your child in a preschool is not necessary. 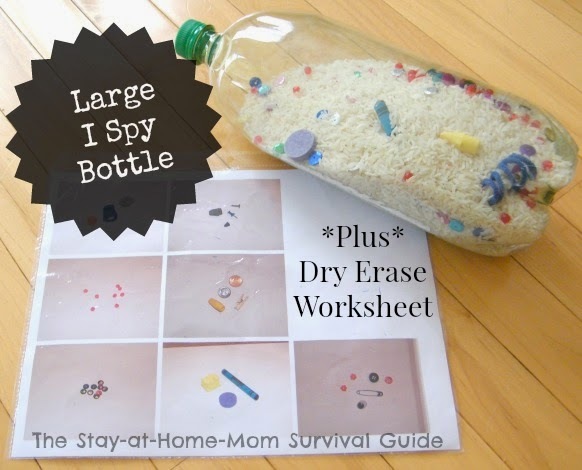 You can teach preschool at home easily. Here is a little more creativity and guidance to make this time fun! 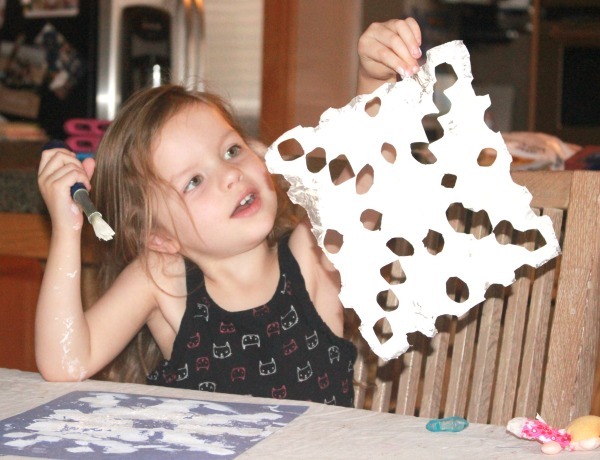 Most of these activities require little prep, do not require a lot of fancy supplies or even a lot of printables. 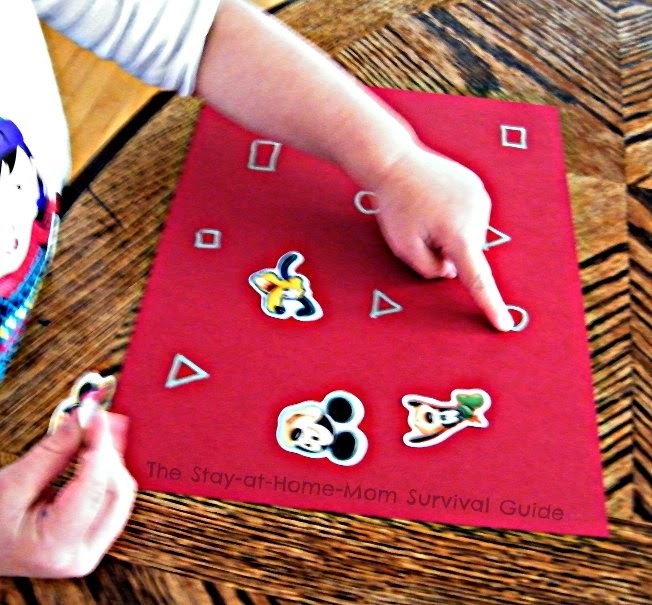 They are quick to set up and simple to teach the objective and let your child explore to expand their learning. We do not have to teach our children to use their imaginations and explore-that comes very naturally to almost every child. 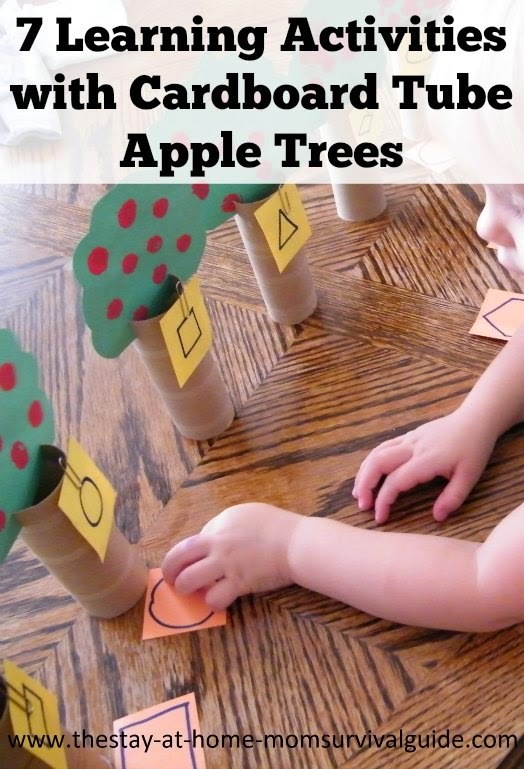 These preschool activities are meant to teach a skill or variety of skills and instigate a child’s curiosity to explore further. 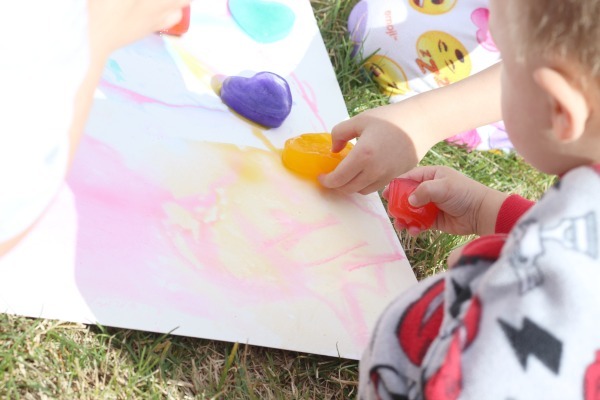 For more information about the development of Preschoolers, check out my post: Crash Course in Child Development: Preschoolers. 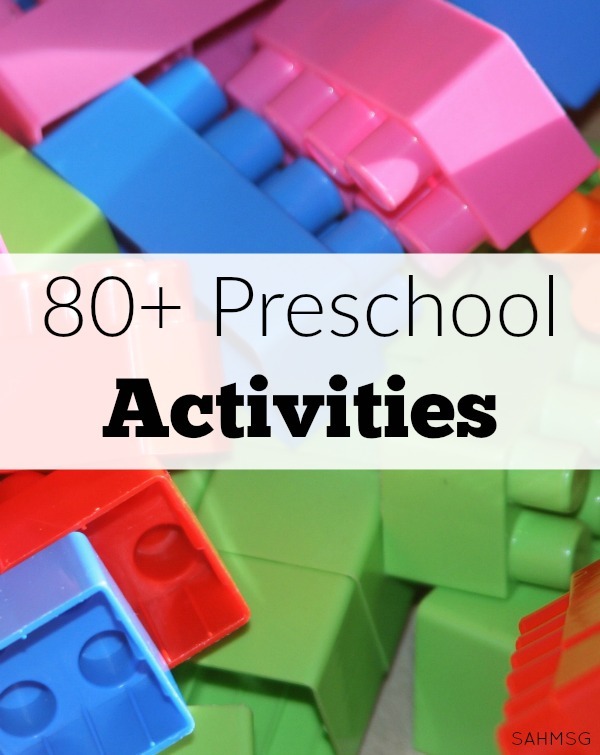 This list of preschool activities is featured in A Complete Guide for Stay-at-Home Moms: Kids Activities. 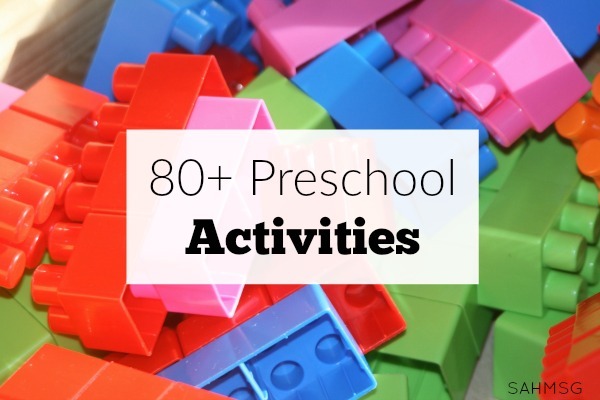 It includes a BIG collection of activities for infants, toddlers and preschool. 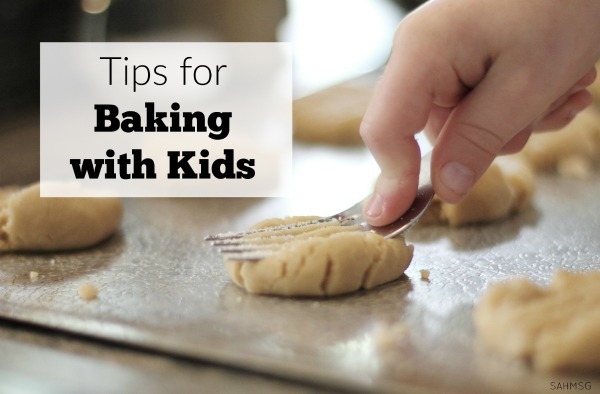 Oh, I remember baking with my granny when I was a kid. 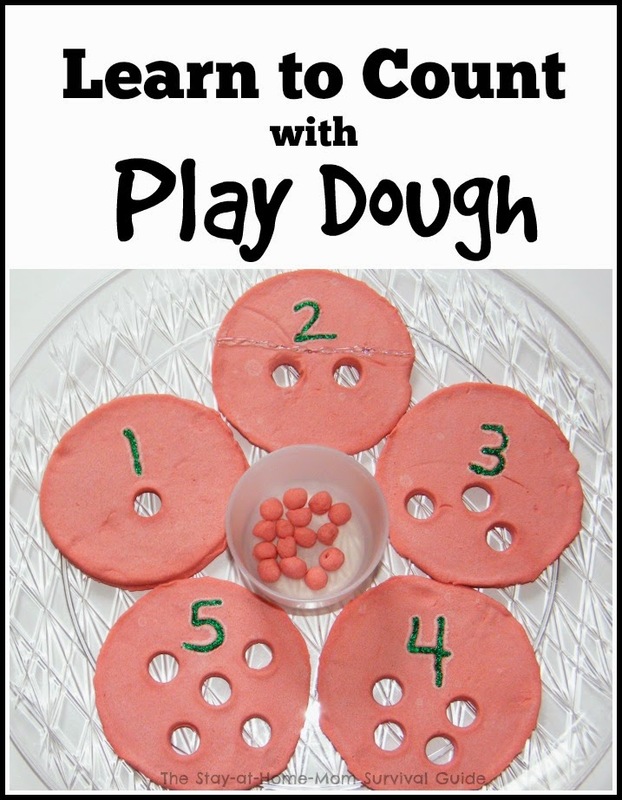 I was amazed how I can create different shapes of dough and bake it. It is one of my favorite childhood memories. thanks, for sharing this post nice job. Young children need the opportunity to use their whole body and develop their gross motor skills. Thank You for this fabulous list. I will be trying these activities at home. I am also sure lots of kids and their parents will find it useful. I can’t wait to try them out with my son.Thanks for the sharing such a useful article. 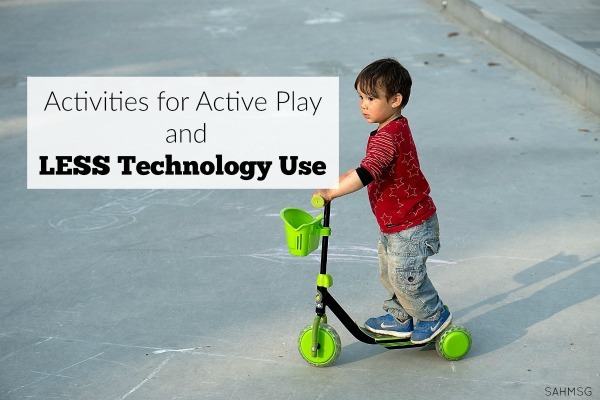 I like active play category. It is really important. Activities, yet I never found any interesting article like yours. That is quite the compliment. Thanks! FANTASTIC!!! Thanks for sharing with us. Very nice post, impressive. Its quite different from other posts. Thanks for sharing. My kids actually don’t play with toys anymore because they are too busy outside climbing trees and swinging on vines. They go on hunts in the woods and bamboo forests close to our home. They chase the ducks around the yard. Think mud pies. Think of skipping rocks. Think of watching the leaves dance in the wind. Think of finding a king snake and learning that these are the snakes we want in our yard, so leave them be. Think true exploration. I have been to my local toys r us lately, several times, and leave empty-handed. 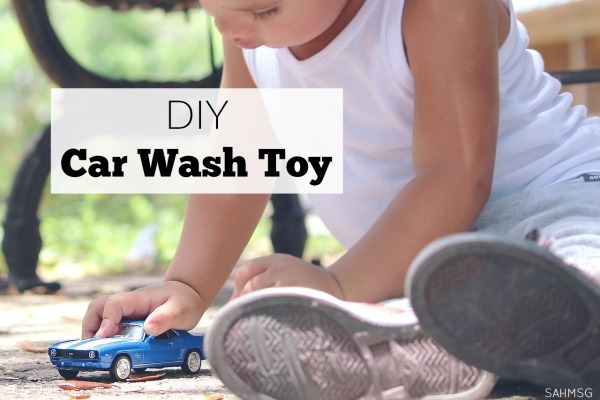 I would rather my kids not play with toys but there are some types of toys that do benefit the child. But these toys can’t be found at your store. That’s a major part of childhood without a doubt! Those experiences can’t be found in a store. I agree. Sounds like your kids are getting some great experiences. I say to you, I definitely get annoyed while other people consider concerns that they plainly do not know about. Thank you, Amber. I will report that ad. I do have an ability to block content and that should have already been blocked. Thank you for letting me know so I can take care of it. This preschool activity list is just what I need with summer here and my daughter already complaining that she is bored. We try and change up our daily activities but it is definitely easy to fall into a bit of a rut. Can't wait to try some of these out! Thanks so much for putting together such a comprehensive guide, your blog is great! Thank you, Jody! I love exploring all you offer with your blog too. 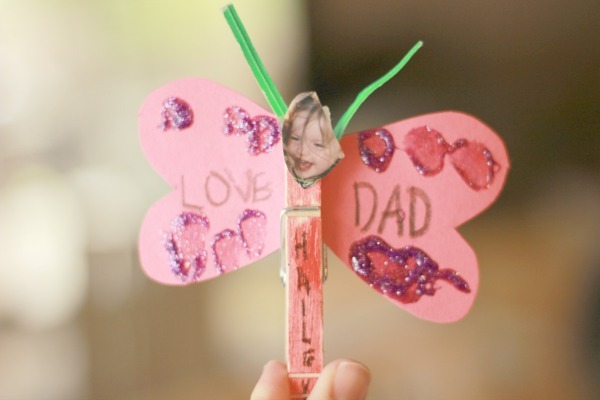 I have saved some great DIY ideas using essential oils that I can't wait to try! 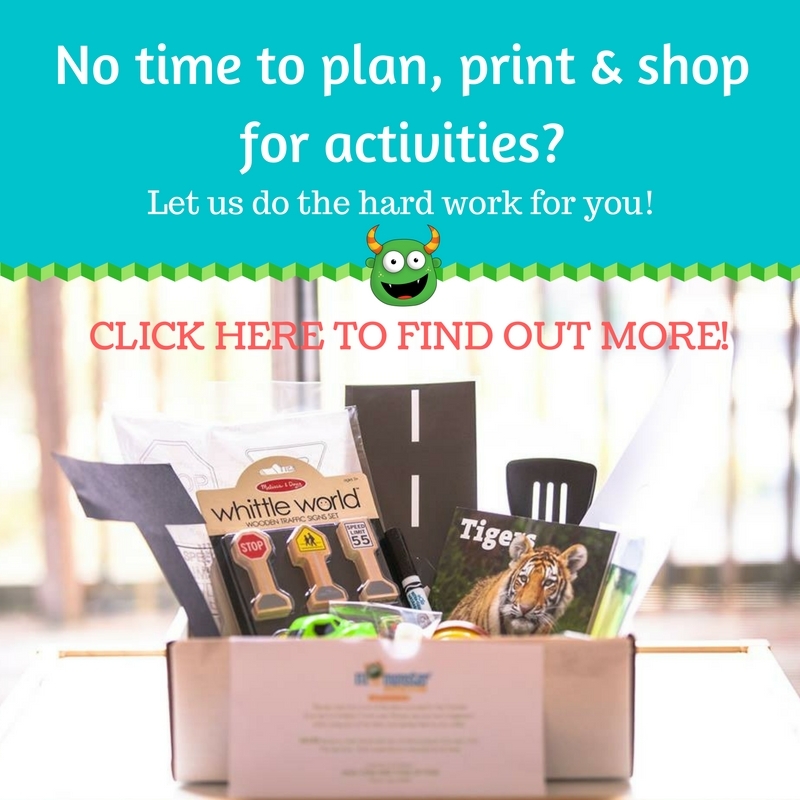 There is a complete and impressive collection of activities for three year olds. At an age when 3 year olds are busy exploring everything around them, these exercises will help them absorb new concepts faster and better. I have used them with my children and can agree with you that they do teach. 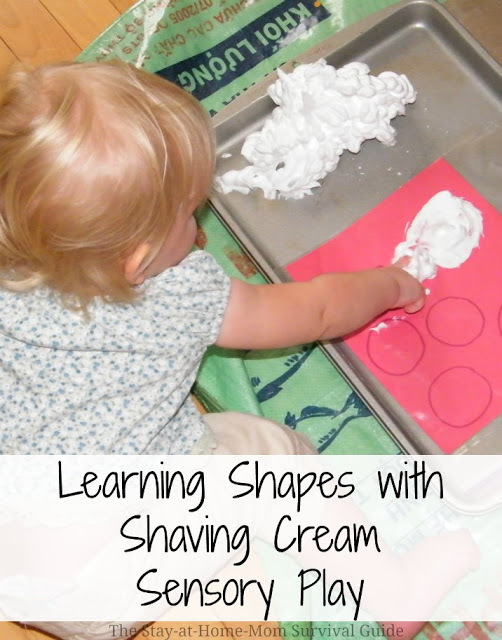 It is so nice that simple activities can do so much to help children learn. Thanks for stopping by and sharing! Thank you so much for this! I stay at home with my toddler. My husband and I are blessed to be able to work from home. She is special needs (a little behind on her speech and following directions) so I'm always looking for activities that will help her. I find that most activities can be modified if need be. I just love being home with her! Jenn, that is great to hear that you can be home (both you and your husband) and attend to her needs. Thanks for stopping by! Take care. Oh, my goodness! I absolutely love these ideas! I've been a nanny for the past 5 years now and just recently started caring for new age groups, newborns to preschoolers. I have been wracking my brain trying to figure out how to keep them occupied and interested in learning new skills and fun activities. It's been a challenge considering their attention spans are so short! lol! Anyway, I appreciate it and thank you so much! Thank you! That is great to read. Take care! OK this is my first time commenting EVER on anything internet related but I am just so appreciative for the amazing ideas that you have taken the time to share with us. 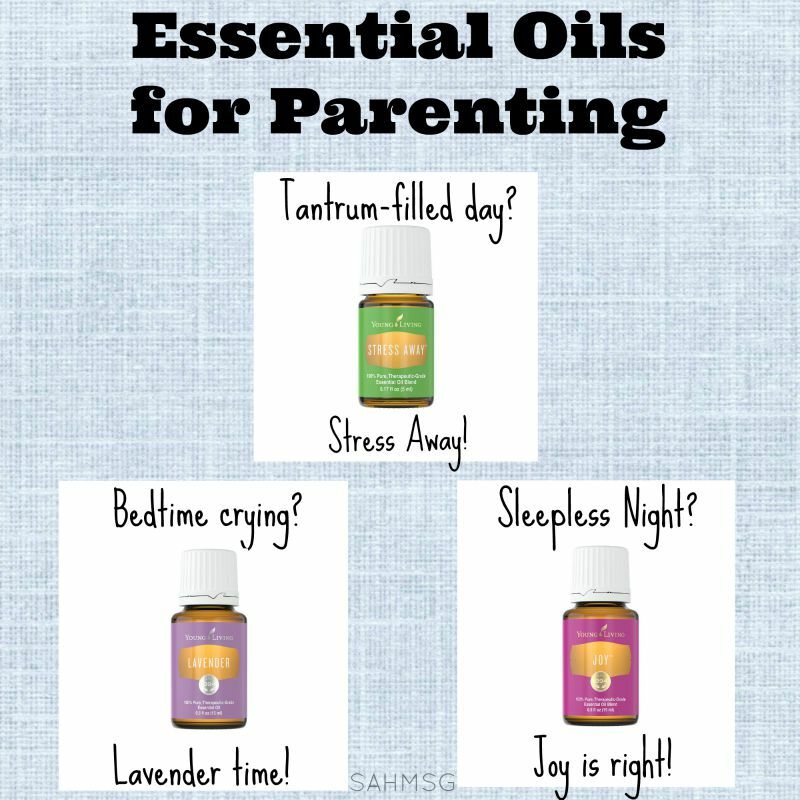 I can't wait to do some of these activities with my children your clearly a great mother I hope to be doing as good a job with my children as your doing with yours! Thanks again! Hi, Amber! I am sure you are a great mom. We are each what our children need. I have my good days and my bad. 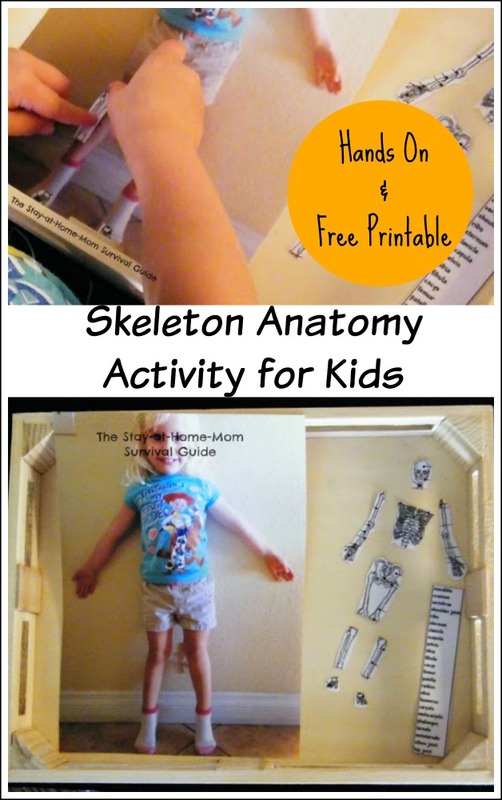 I am so glad that you are going to try some of these activities with your children! I wish you the best with it. Enjoy your time with your children. Hi Jaimi! 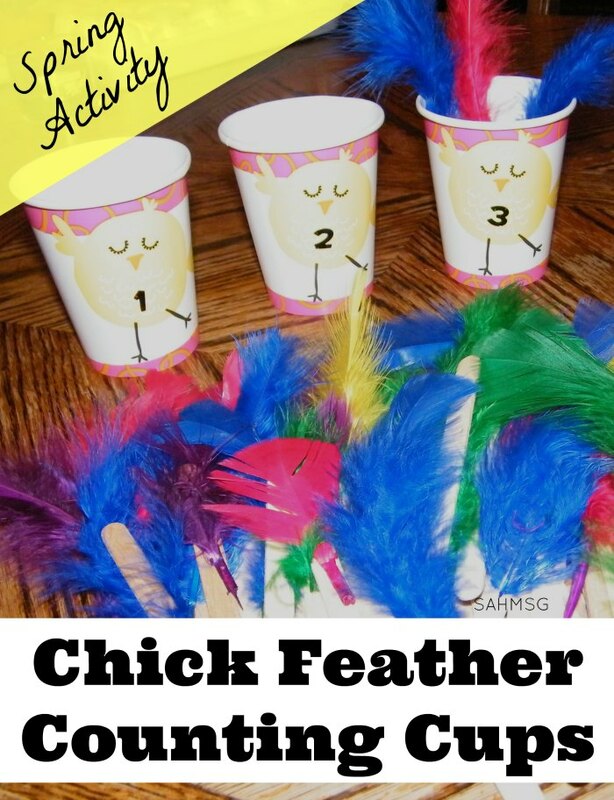 I absolutely love these activities, they are creative, fun and original! I praise you for thinking of these, you are a great woman! I have already started using these activities in my field placement! Thanks! – E. H.
Well that is a very kind comment! Thank you so much. I am really happy that you can use them in your field work. Enjoy your time teaching and thanks for sharing with me! These ideas are so great!!!!! I am constantly pinning activities but this post is perhaps one of the most comprehensive. The best part is all the activities are easy to set up, economical and utilize stuff from around the house. 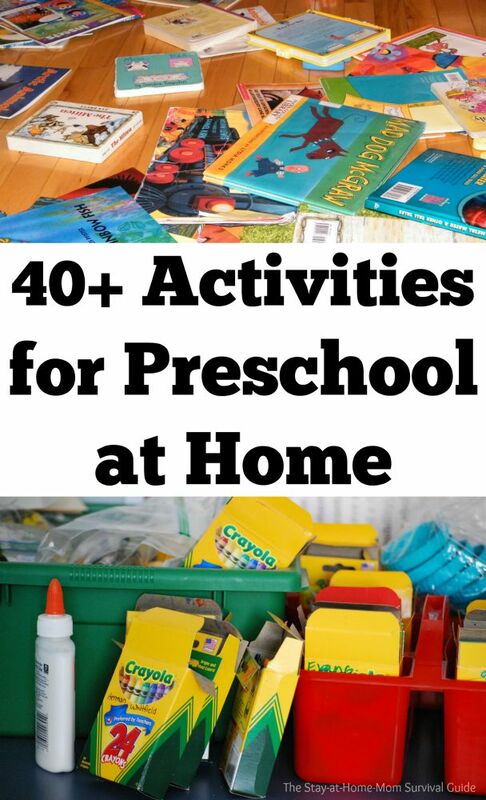 This would make a wonderful comprehensive hand out to give to parents for ideas at home to help preschoolers prepare for school and keep them busy. Kudos to you for one of the best blog posts I have every read for early learning (trust me I have read thousands). That is high praise! Thank you! 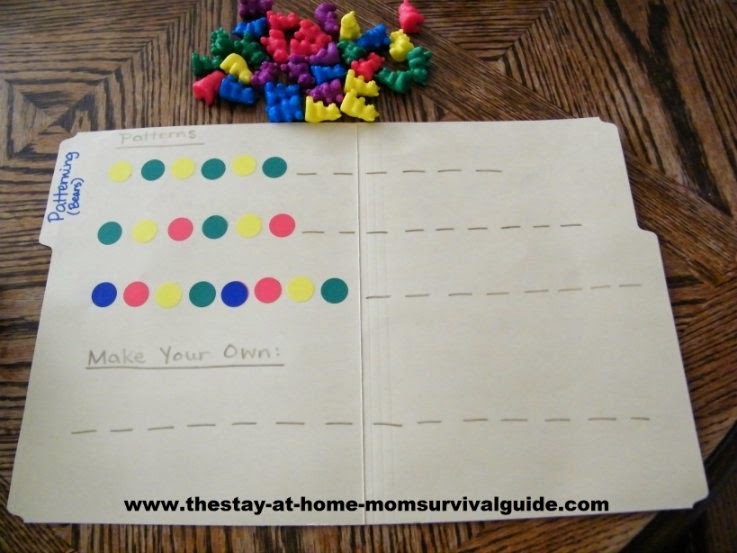 I do plan on eventually making a hard copy version of activities to help parents. I appreciate you stopping by and sharing! You are so very welcome! You will be great at preparing your sons for school. I am so glad that you found this list and I look forward to posting more so that you will have many more ideas to try! All the best to you and your family! This has got to be one of the best sites I've found! I'm pregnant with my second and now a stay at home mom for my four yr old son! I have gotten so many awesome ideas from this page! I don't want him to miss out on anything! I wanna prepare him for kindergarten and I'm sure that thanks to this page he will be more than prepared! Amanda, that is great for me to read! I am so glad that the activities here will be useful in your home. You will have him prepared for Kindergarten for sure! Congrats on the pregnancy, getting to stay home, and I wish you the best with it all! Amazing! Absolutely brilliant! 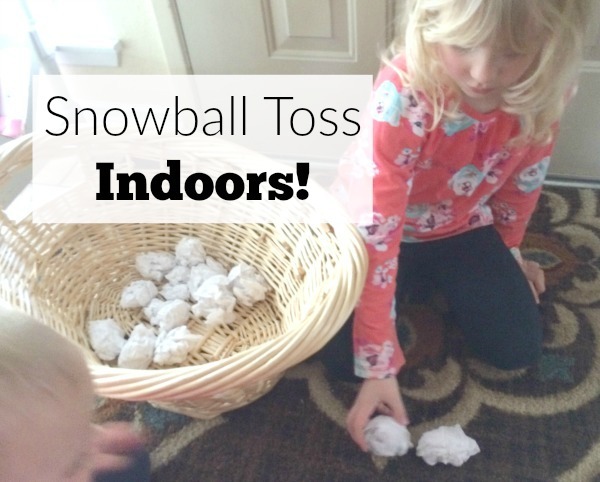 I will be trying these activities at home. Thank you! You are too kind, Brenda. I thank you for that nice comment. 🙂 I am so glad that you will be trying some of these at home. All the best to you and your family! My son, diagnosed with autism and leukemia, spends a lot of time in the home. Thank you, thank you, thank you for this. I use them and am seeing progress. You are, as previously stated….amazing! Ruby, that is high praise, and I am so thankful that the activities are working for you and are beneficial for your son! Your's might be one of my most favorite comments on this blog. YOU are amazing for caring for your son and looking for ways to enrich his life. All the best and I will be keeping you both in my prayers. You are amazing! 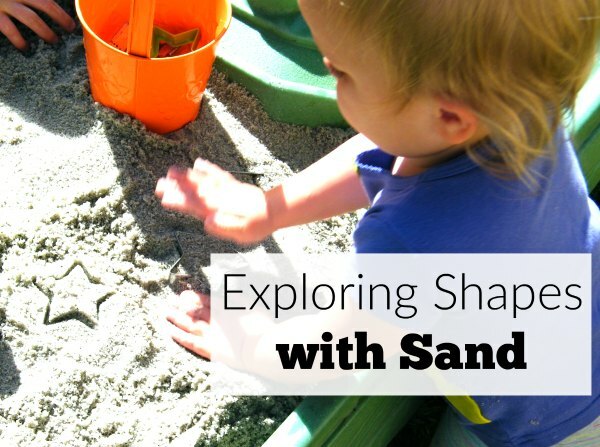 I'm doing a co-op preschool with a neighbor, and this is a fabulous resource! Thank you! Katie, that is wonderful to hear. I am so glad that you can use the activities. All the best with the co-op! Yomaira, I am so glad you found this and am excited for you to get support and encouragement. That is why I do this! I appreciate you letting me know and wish you the best as you try some of these ideas out in your home. Thank you so much, Jen. I am so glad to know there is another layer of benefit to these activities. It makes me happy when people find them useful and educational. I appreciate you sharing with me. WOW! This is a great list! 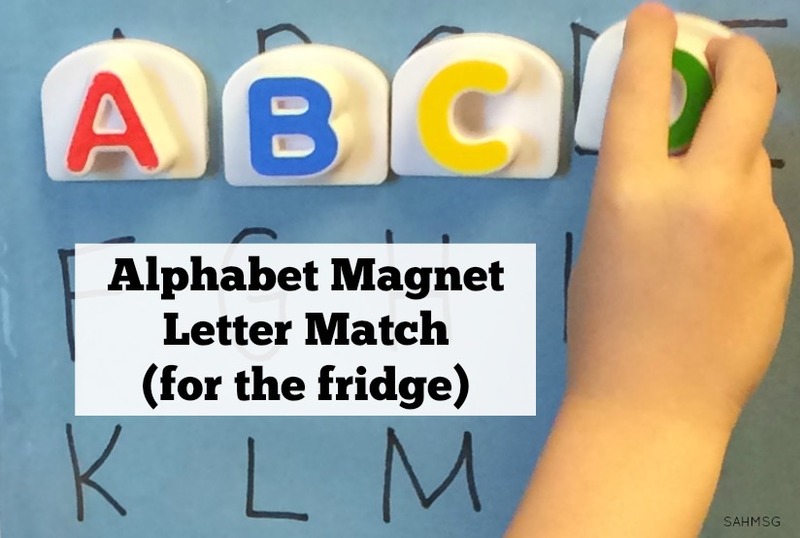 I just wanted to let you know that I've included your alphabet magnet game on my blog. Thanks for the post! Thanks, Amy! 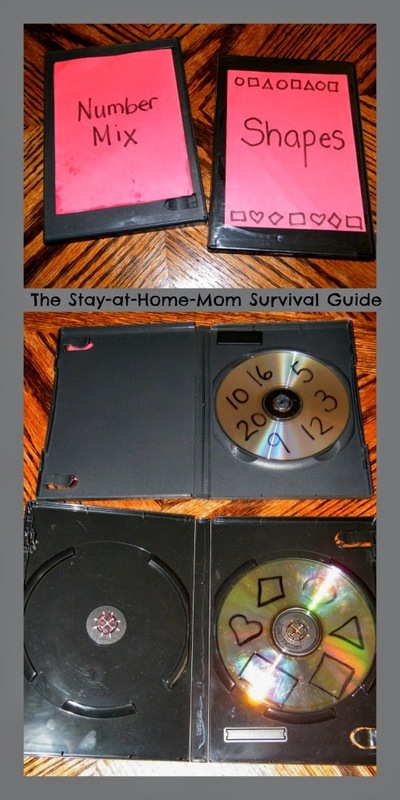 I am so glad that more moms and/or teachers can get a glimpse and possibly try it out in their homes/classrooms. Take care! These ideas are fantastic!! I've made two of these projects today in preparation for our new school year. Thanks so much for sharing your fabulous ideas with this homeschool newbie! Jennifer, thank you! All the best as you begin to homeschool. I appreciate that. I just try to learn from my mistakes and use what I can each day to engage my children. We have rough days, but many more good ones! Thanks for your kind comment. Jaimi, this page is fantastic! Thanks for sharing all these ideas. I can't wait to start these activities with my princess. She is so bright that i want to engage her to learn in a fun way and i found so many ideas here that i know she defenetly enjoy. Thanks a lot for creating this page . May God bless you. Thank you so much! I am so glad to see the excitement in your words as you are eager to engage your daughter. How blessed is she to have you?! I wish you the best and may God bless you and your family as well. Have fun! Jaimi, this page is fantastic! Thanks for sharing all these ideas. We live in a very rural area, and have a corresponding lifestyle. 🙂 I find most days I end up trying to make fun activities out of the work I have to get done (i.e., caring for animals, planting/gardnening/harvesting/cooking/canning, etc.). I know a lot of that is good for my son (3 yrs old), but I'm also very aware I'm letting some learning opportunities slip by. He's VERY bright, and could be learning more if I focused on some structured, fun and educational activities each day. However, I'm a terrible planner. I know if I don't have some sort of pre-defined schedule, I will continue to let it get away from me. Do you have or know of a printable calendar or "lesson plan" with activities such as you have suggested above? Such a tool would help me tremendously! Thanks again! Thank you, Ginny! I am sure that with all of the activities you engage in on a daily basis your son is learning a lot! It is amazing what just doing our regular household work each day can and does teach our children. I do understand your desire to want to teach more academic skills as well. I am in the process of altering a lesson planning worksheet that I used while teaching to be more updated and conducive to the planning that a mom needs to do in a day. 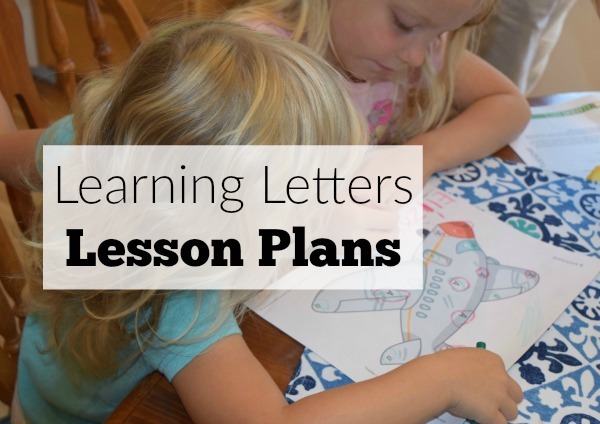 I did however do a search for "mom lesson plan," "homeschool lesson plan," and "daily planning template" and found so many different styles and formats. Some are broken down by hours in the day, others are just list the day of the week with a space for planning what you'd like to cover. You may want to check out white board calendar planners. That way it is reusable, you can adjust as the week progresses and everything can stay organized. I have one I purchased at Target. I hope that can at least get you moving in the direction you'd like to go, and I will get my lesson plan up and ready for free download ASAP! Thanks so much for your question and kind comments. Thank You for this list. It is wonderful. 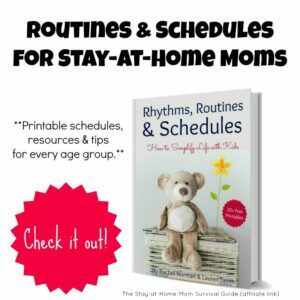 I have to take my children with me to work quite a bit and not only are these activities for stay-at-home moms but they keep my daughter quite while I am sitting at work playing the piano. I have been esp. 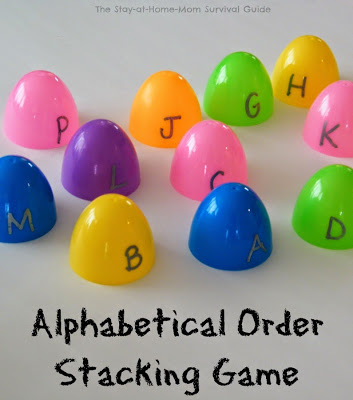 looking for letter and number activities and you have so many great ones to change up the ones that I have been doing. Amalie, I am so glad to hear that they are helping out! I think that is so cool that you get to take your kids to work with you. They get to see what you do and are still under your care. Awesome! Have fun with the activities and all the best to you and your family! Carla, that is so great! Thank you for sharing with me. I wish you the best with your children and in your goal to become a teacher. Very exciting! love your site. such great ideas. I am a special education teacher who has decided to take a break from teaching in order to stay home with my little ones. In looking at your page, I am so very impressed and excited. A lot of these activities take place in the classroom. 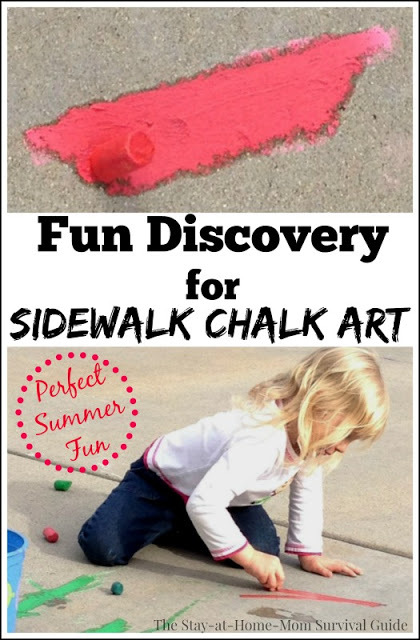 I am looking forward to doing these with my children! Thank you so much! I am so excited for you and your children! Enjoy your opportunity to be home with them. Thank you for sharing such kind thoughts about this page. I appreciate the nice feedback. I will be adding more activities to this page very soon! All the best to you and your family! Such a great resource! Thank you for sharing. What do you do to store all these activities? Thanks again and enjoy the time with your children! Thank you for posting your activities and not a regurgitation of Pinterest pics! Ha ha! I hear ya. You are very welcome. 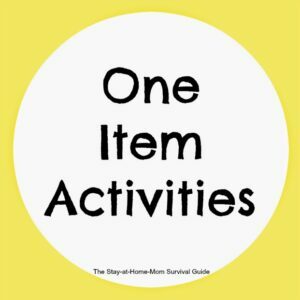 These come from my own bins of activities from when I was teaching and from my own home when I create activities to use with my kiddos, so there could be some overlap with other sites out there since there are a lot of creative mommas around the internet, but I do try to keep this list original. I am glad that that is a welcome aspect of this blog site. I appreciate you sharing! I am glad to hear it. Have fun! Just found this site today and you have done an amazing job! Thank you so much for taking the time to post so many ideas. Can't wait to start using them with my great grandson this summer as i will have him each day. so many ideas. Thank you for the nice comment! I appreciate it. Enjoy the time you will have with your grandson-what a lucky guy to have such a caring grandma! Take care! 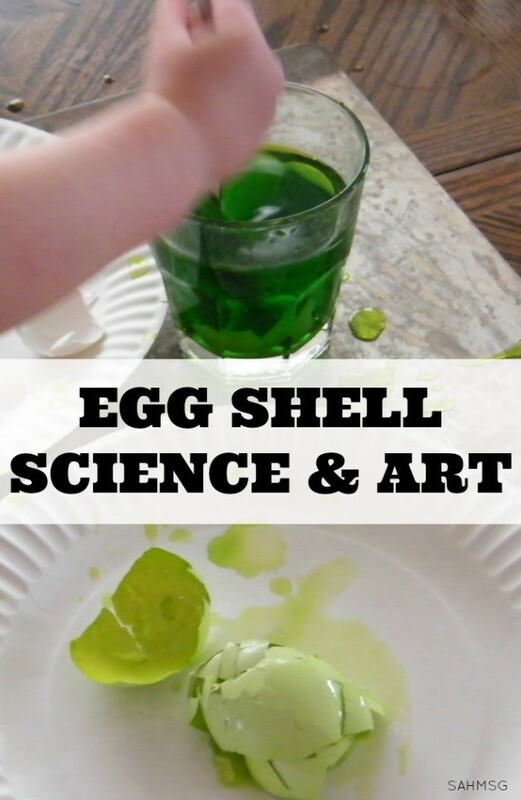 these are awesome ideas cant wait to try them with my son. i think he will have lots of fun with them . I hope you and your son do have fun with them! Kelly, YOU are awesome for taking on service in your life with your two and your two foster kids! It is the best comment for me to read that the kids will like the activities-that is the ultimate! I am so glad you stopped by and shared. Take care and thank you for all you are doing for your family! 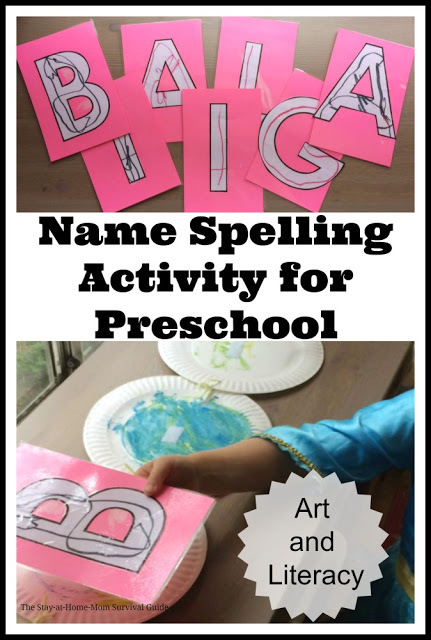 I am a preschool teacher and I love finding new and exciting ways to engage my children. Great ideas!!! Great! I am so glad to hear that there are some new ones here that look interesting. Thanks for sharing and thank you for teaching little ones! All the best. So many fun activities on this page. 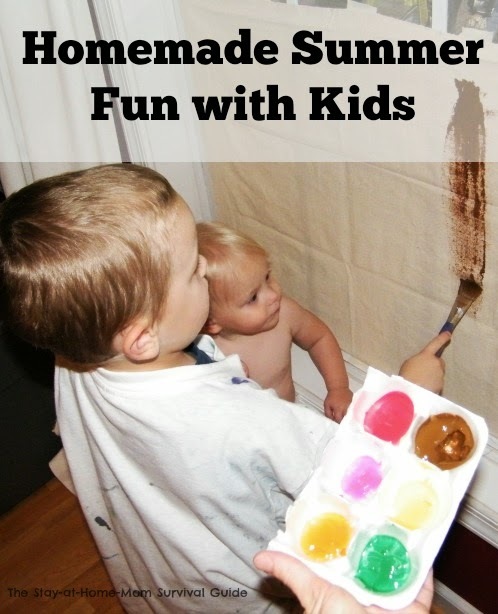 You are very creative in making fun activities with your children. So much to teach our children, and teaching them things in a fun way is fantastic. Hi Carolyn, thanks so much! Teaching and fun are great partners. Thanks for stopping by. These are awesome ideas. Even with an early childhood masters degree, I sometimes have trouble thinking of other things to do during the day. 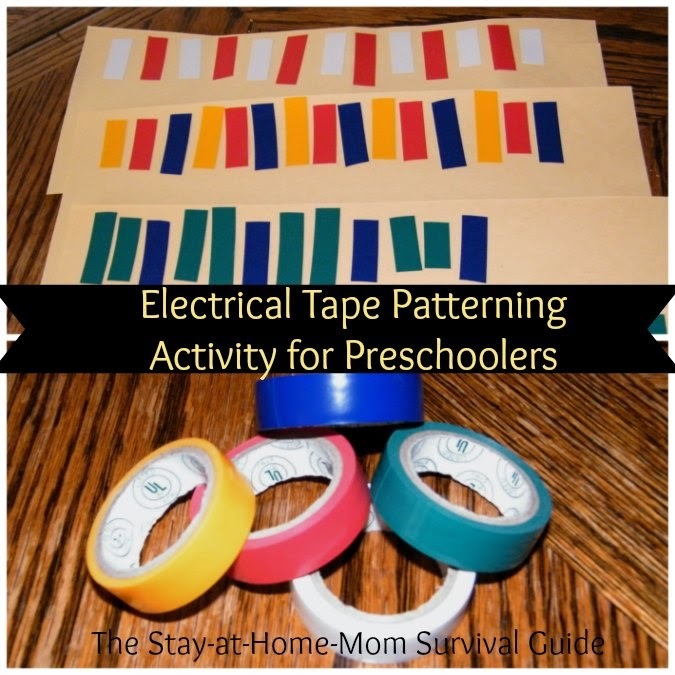 I can't wait to find time to make some of the activities…first I have to find my laminator! Some ideas really excellent and its can be apply at home or school. 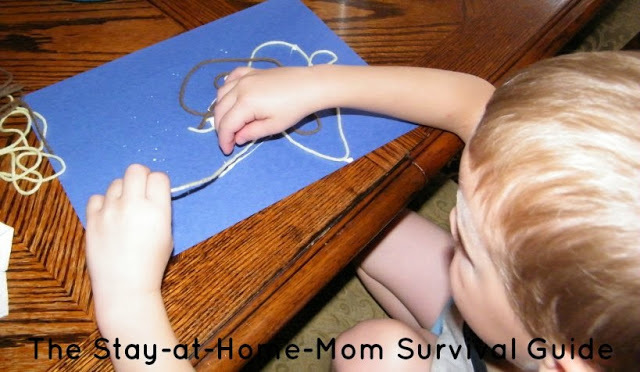 They are very easy to do in the home or in a classroom. I was originally a teacher, so my classroom roots come out with my kids at home. Thank you for sharing! Hi Shari, don't worry about the length of your comment, I am happy to read it and respond. I will email this to you as well just in case it's easier for you to get it there, but will leave this up here as well in case other parents have the same concern. Considering the finances is SO important. You are smart to be looking at your home budget. I think preschool for 3 and 4 year olds is completely optional. 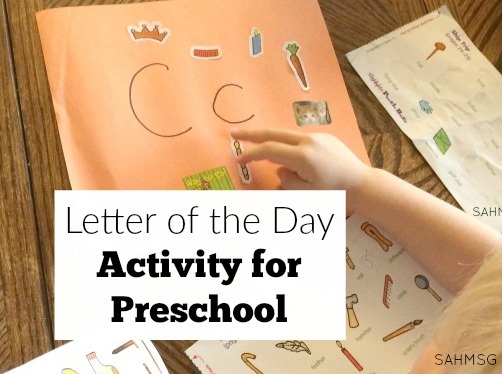 It is not required to prepare a child for Kindergarten if you are teaching them letters, numbers, gross motor skills (throwing, catching, running, skipping, hopping) and reading them books every day. I do think at 3-4 years old it is important for children to play and interact with other children and attend events where they have to listen to directions from other adults. 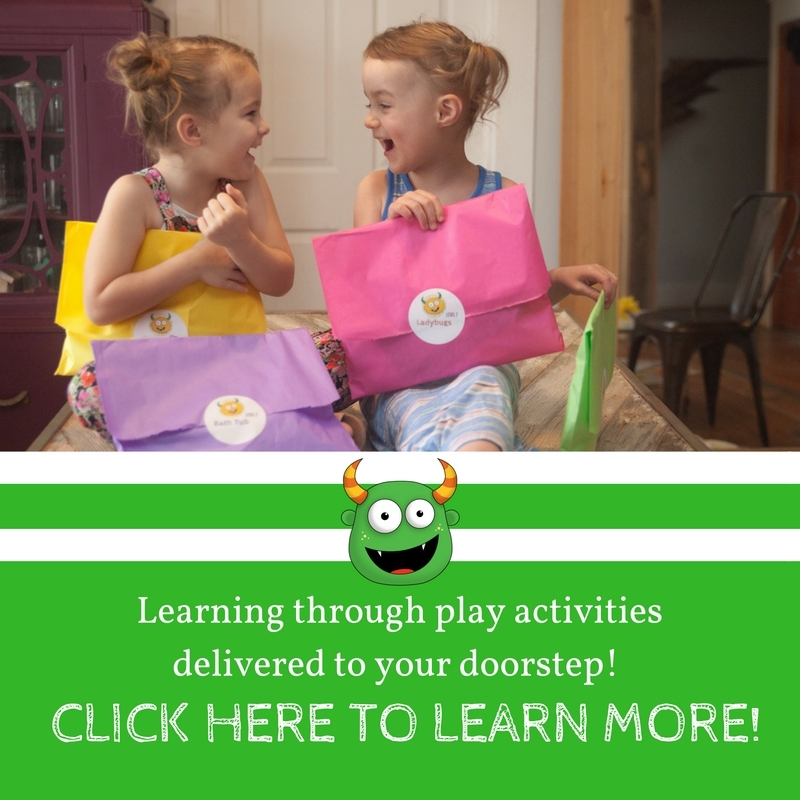 This can be done in playgroups, family events if you have nieces and nephews, neighborhood playtime, or library storytime-type-events. Children do not NEED to go to preschool. 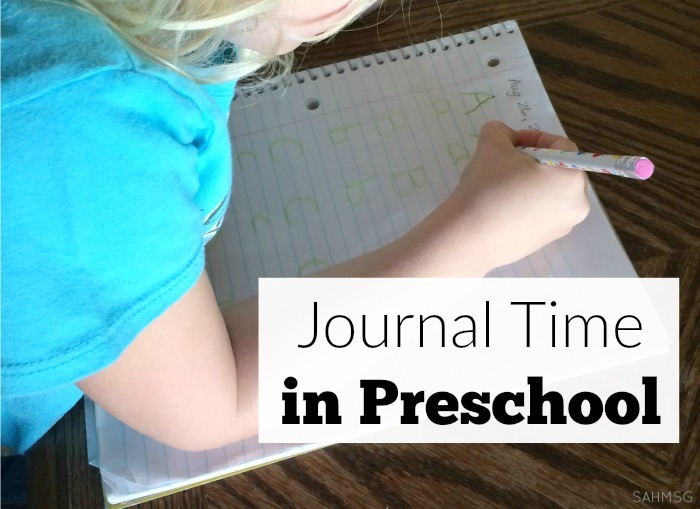 If you really think that your budget is going to be tight with full-week preschool, consider a part time schedule. I send my 4 1/2 year old 3 mornings a week, but it is $200 per month. They do a great job, but my son learned a lot at home prior to starting preK and he did not go until he was 4. I think it's best that children wait to enter 'school environments' until they are fully potty trained, and at least 3 years old. I know not everyone can do that, but it's hard when preschool teachers are trying to teach and still getting interrupted by potty training. 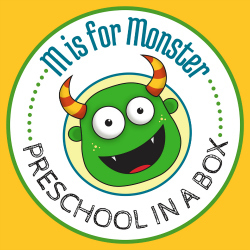 I will be updating that page to include an actual Preschool assessment that I used to use for my preschoolers when I was teaching to be sure they were ready for Kindergarten. I hope some of this can help. Let me know what else I can do! Best to you and your family! Amazing ideas and SO creative (which I lack). My son is only 10 months but ive already bookedmarked this to use when he gets older! Any suggestions on thjngs I could be working with him now on? I am glad that you found some ideas that you would like to try as your son grows. 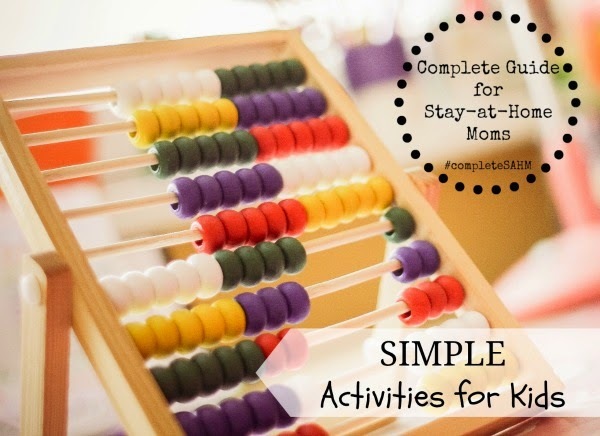 For now, check out the Infant Activities page: https://thestay-at-home-momsurvivalguide.com/p/infant-activities.html and the Toddler Activities page: https://thestay-at-home-momsurvivalguide.com/p/toddler-activities.html. Your son is right in between the two stages, so check out both and you may get some more age-appropriate activity ideas to use right now. Take care and enjoy! 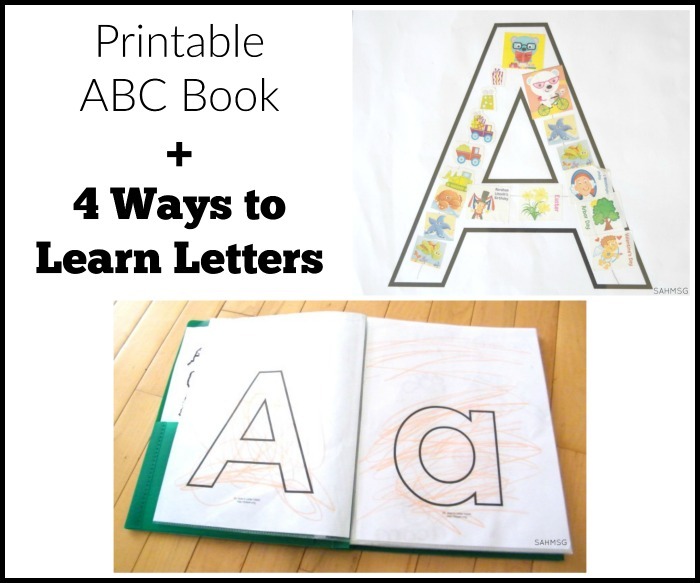 Just a suggestion: For things like tracing letters, circling objects, mazes and the like where my son will be writing on the paper AND I plan to use it more than once—I print one copy (or tear the page out of the workbook) and laminate it. Then I just have him use washable or dry-erase markers and I can use the same page forever. This has saved me a ton! I also laminate things I plan to cut into cards (so they last longer) and, of course, I laminate my son's artwork! If you don't want to invest in a laminator you can use zipper bags for a dry-erase/washable surface. BTW, before I got the laminator I would scan pages from workbooks into the computer so that I can re-print them rather than have to buy another book. really excited to try these..i have an almost 4 yr old and i watch my friends daughter who's the same age, once a week and have been looking for things for them to do that are fun but that they can learn from. These should keep them busy and learning, for sure! I am glad to know you can use them. Thank you so much for the nice comment! Yes, I completely understand how when going from the first to the second there is less time with the second child. You will be a pro now with three! I am glad that these ideas offered some inspiration and I wish you well. How excited I am to find this! I am home with my four year old and have been struggling to get him interested in learning his lettersand numbers. 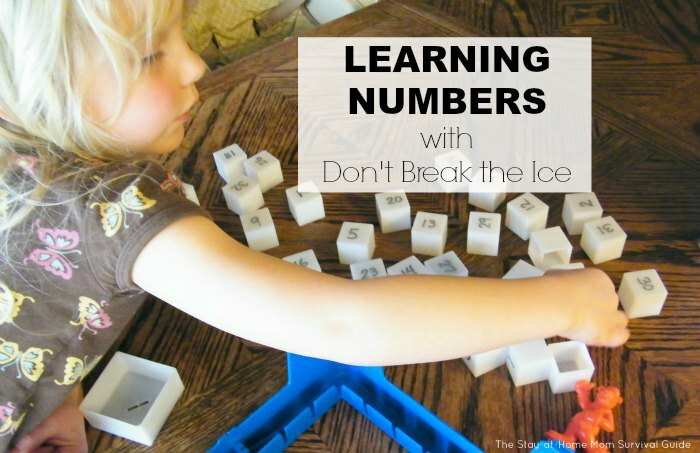 these ideas may just sneak the learning in on him ! Thanks so much! I certainly hope they do! You are very welcome. Thank you for the nice comment and all the best to you as you sneak in that learning. So it's not just my kid? 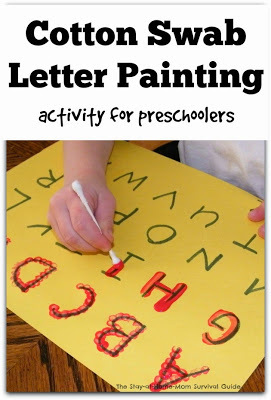 LOL My son will be 4 soon and he hates working on letters and numbers! I have so many things I'm working with, but am constantly looking for new suggestions! So appreciative of the time and effort you put into this….the ideas are wonderful!! Thanks so much, Sarah. It is nice to get feedback like your commeny so I know that the effort is well worth it. 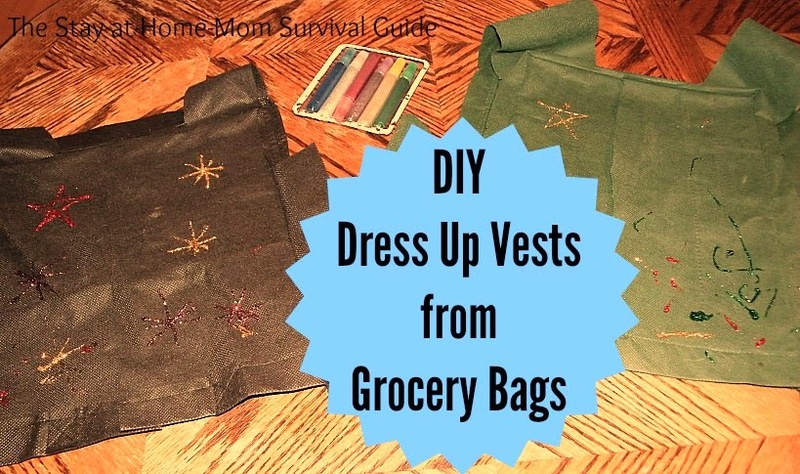 I am so glad to know that so many moms can use these ideas. Take care! Kristin, I appreciate that nice compliment. So glad that you can use some of these in your home. All the best! You have so many creative ideas here! I can't believe this is all one blog post– you really ought to make this all into an ebook or printed book! 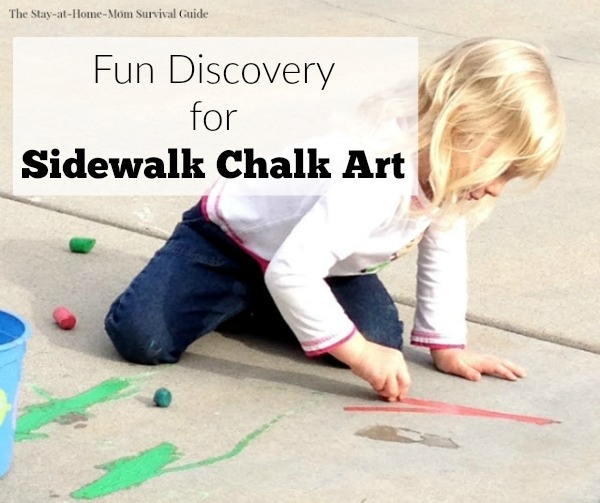 Good photos and the activities look very doable, educational, and fun! Thank you, Diane! I am working on it. 🙂 Two busy kids keep my focus most of the time, but I do have plans in the works for some off-shoot products from this list. I appreciate your encouragement and suggestion. This list is a work-in-progress and there is much more to come from this site. Take care! Great to know! I am so glad that these will be helpful. All the best to you and your family! Wonderful! 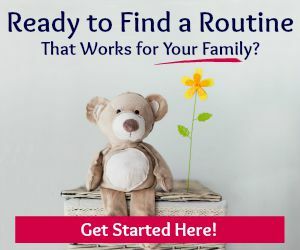 I have been teaching for a long time and have three children of my own…this is a GREAT collection of some favorite activities, and some new ones I have not seen/tried. Yes, even teachers have brain farts and can't think of anything interesting to do with their children! Will be sharing on my personal and professional pinterest board! Wishing you lots of traffic! Well done. Great! As a former teacher, I know that feeling of trying to find something new, but wanting it to be a great teaching tool. I am so glad you will be sharing. I appreciate that. All the best to you! Thanks so much for these great ideas! I am a Speech Therapist and I used to work in the schools but now I do home-based therapy. I work with several preschool age kiddos which is new to me. I am constantly struggling for new ideas that will keep these little guys interested. 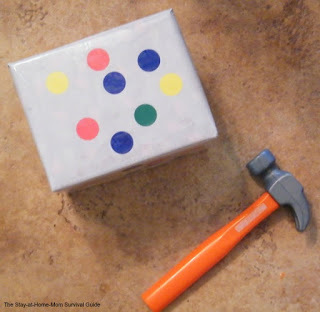 These activities are great and I cannot wait to start using them during my therapy sessions! 🙂 you rock! Well, I think you rock for working with children and especially in therapy! What a service you provide to those kiddos and their families. I truly appreciate your kind words about this site. It makes me feel that it is all worth it. 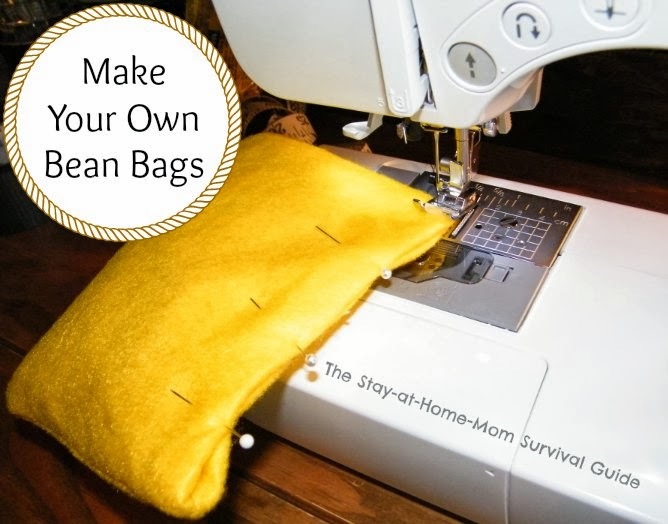 I always pin lots of blogs like this since I am a stay at home mom with no creativity. I have to say those this is the best ideas I have ever seen. 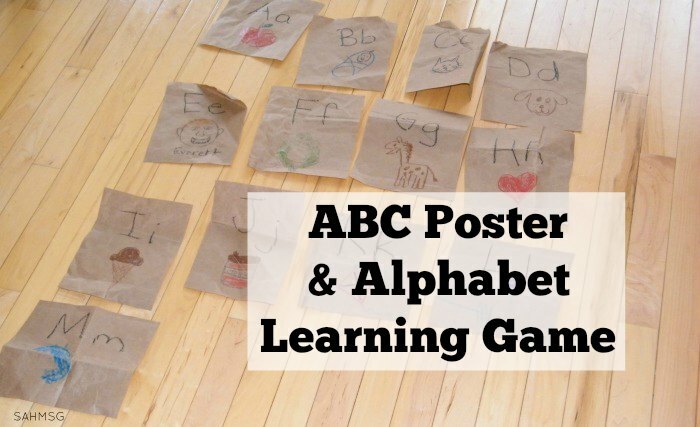 They are great games that can really grow with your child. Thank you so much for THAT awesome compliment! I really appreciate it. I agree with you that most of the activities that I have posted for all the age groups can be easily adapted to learning styles and developmental need. Simple is usually best in my opinion. I am so glad you have found some ideas that will be helpful to you. I really love your ideas, there simple and don't cost anything. I will be doing this tomorrow with my 3 year old who is always ready to learn and have fun at the same time. Thanks alot it really helps us stay at home mothers who want to keep our little ones interested in learning. Brittany, thank YOU! I am so glad to read this. Happy learning and teaching with your child! I am so glad that I found your blog! I am a sahm of two boys (4 and 2). 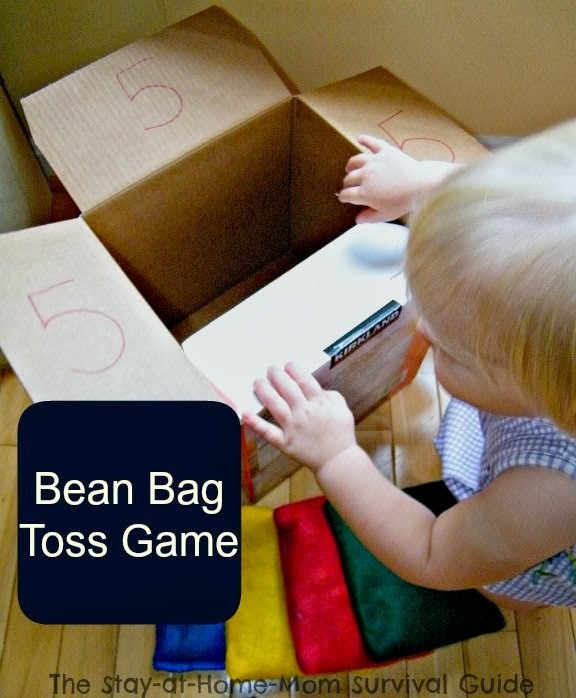 I have been looking for ways to do play-based learning. Currently I am home alone with the boys because my husband is deployed, and I really think these activities will be great for my sanity as well! Thanks for sharing! I am glad that you found it too! Thanks for sharing your thoughts. As a military spouse, I know it's important to keep the day moving along so we don't get in that crazy zone of feeling the days drag-even if it may be inevitable. 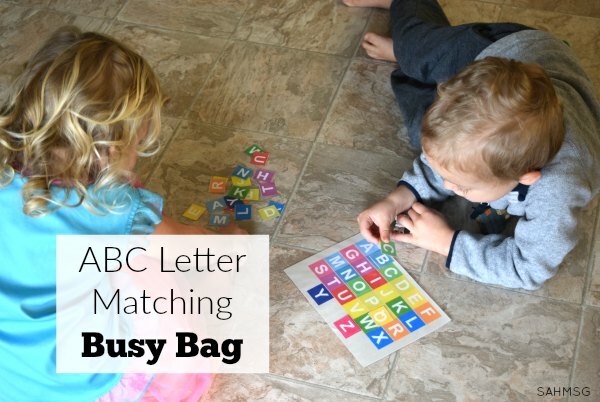 I hope that these quick, simple activities can help keep the kids engaged and you teaching them to be beneficial to you both. All the best to you and I will be thinking about you while you take on this deployment! Hi! I could never figure out creative ways to use stickers! So thanks! 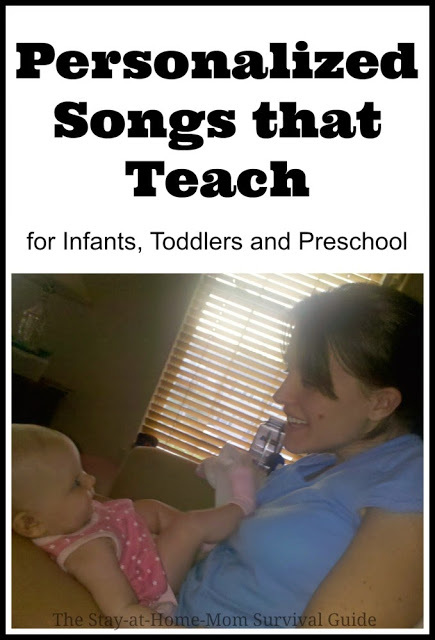 Your blog will be useful for all of my little ones who are 7 months, 18 months and 3 1/2 years. You can utilize each of the activity pages with your crew! I am so glad to read that you have found ideas you can use in your own home. Enjoy your children! Thank you for taking the time to put together this great list. 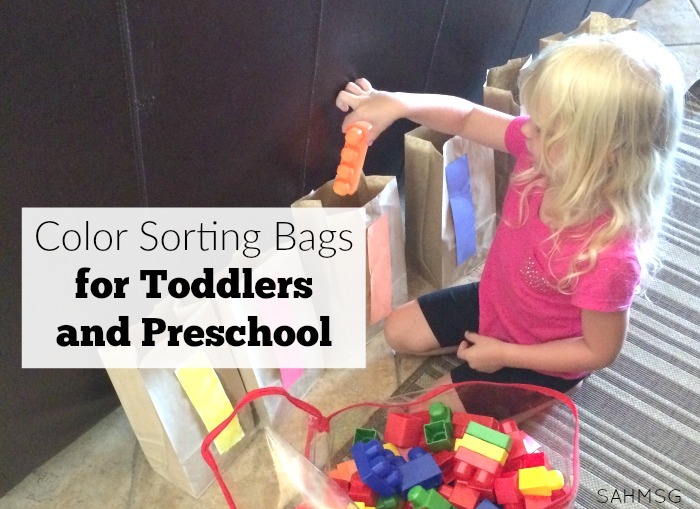 With my 4 year old in preschool most days I was looking for more ideas of things to do with her younger brother. Thanks I think we will be doing several tomorrow! That is great news! Thanks for sharing. It is so nice to know that these ideas are useful for others. Thank you for taking the time to share your creative ideas. My son is 2, but recently seems bored and restless with our usual activities. This has given me so many ideas to challenge him and keep learning fun. I will be referring back to this post often, and will check out a few more of your blogposts. Nicki, I am so glad to hear that you have found some ideas that you can use. Challenging children is so important to keep them engaged in learning and really growing to meet their own potential. Developmental stages are so fluid and, as you are finding, just because your son is 2 does not mean that his brain is still in 'toddler mode' when it comes to exploring. Good for you for trying to offer him more activities to keep him interested in learning and playing. All the best! Tracy, as soon as I create one I will let you know. (It's on my list.) Thanks for asking! Thank YOU for that nice comment. I am so glad to read that they will be useful to you at home with your son. My son had to wait a while to be allowed to go to preschool-frankly, I think children learn more at home anyway-so your son will not be missing anything. All the best to you as you teach him at home! Enjoy! They definitely are simple and very frugal. I think that is a key combo for one-income households such as mine and any household that lives according to a budget. 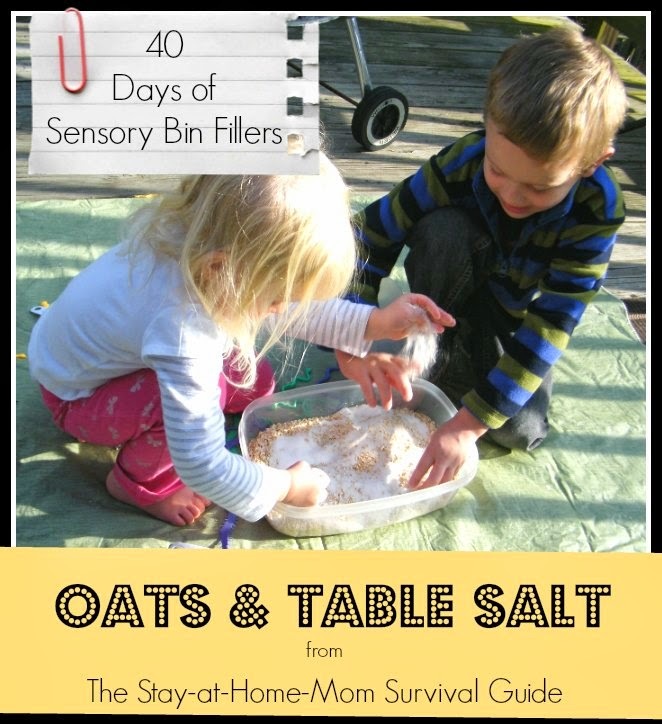 I am so glad that you found a few ideas you can use with your own little ones! 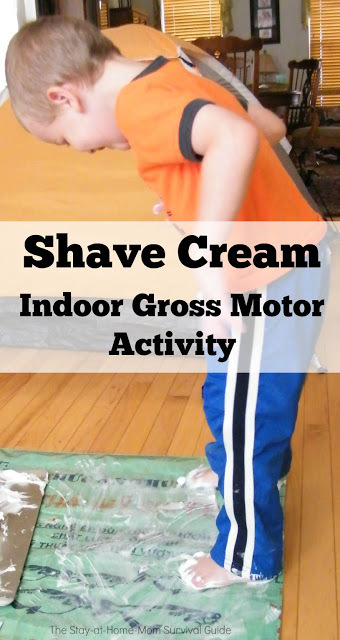 Many of the activities posted are able to be enjoyed by multiple age groups or easily adapted to accommodate specific developmental needs-I am sure you are a pro at that with all of your experience! I appreciate you taking the time to comment here and share. 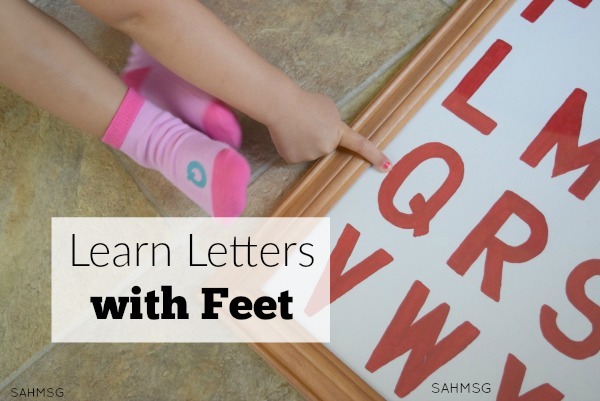 I worked as a literacy teacher for four years and am now a SAHM. 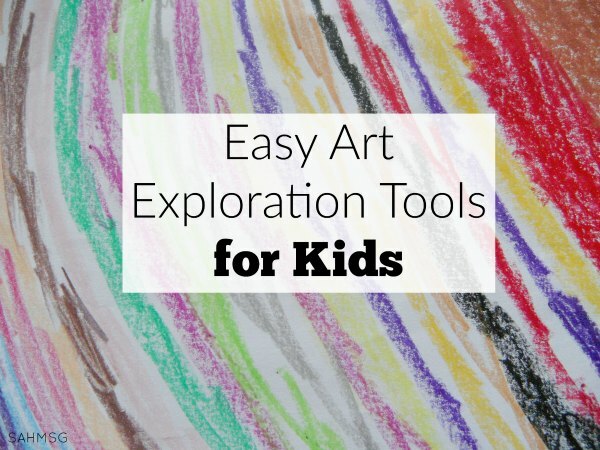 You have some awesome ideas that I can't wait to try with my 3 year old! Thanks so much! I am so glad to know you were a teacher! Thanks for stopping by and leaving such a nice comment. I appreciate that. All the best to you as you get to stay home and teach your own child now! These are such wonderful creative ideas! 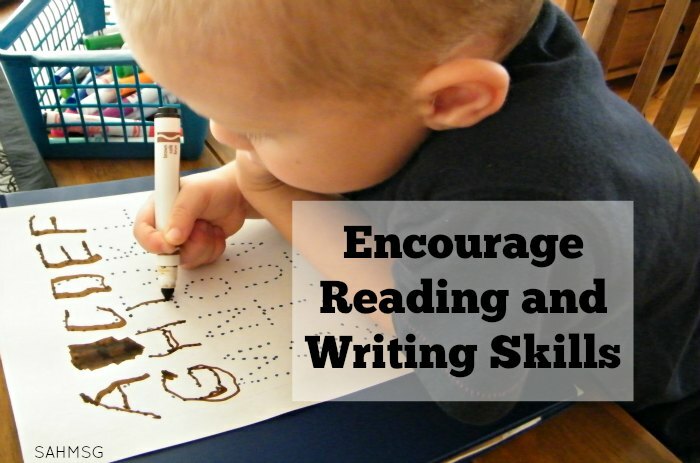 I'm always looking for new, fun ways to teach my kids reading and writing and this is great! Thanks so much for sharing!! Kaila, thank you for your nice comment. I really appreciate hearing that the ideas are being received well. I am so glad that you have found some ideas to use in your home. All the best to you and your family! I just stumbled across your blog. Thank you. I run a daycare and I create my own things for my children and it gets hard coming up with new ideas. I am looking forward to trying some of yours. LeAnn, I am so glad that you can use them. Thanks for commenting. All the best to you as you provide care to those kiddos! Thank you so much for sharing these ideas!!! I have a four year okd who doesnt like to trace!! She is going to love the qtip trace….hopefully! LOL she loves to paint! Amy, I sure do hope she enjoys 'tracing' when combined with painting that she loves! Let me know how it goes. I appreciate you taking the time to comment here. All the best to you! Brianne, I bet your three kiddos are keeping you very busy! What great experience and mom-knowledge you have to share. Thank you for the wonderful compliment on this list. I am so glad that you have found some that you can share with your children. Shannon, thanks for letting me know that you found me on Pinterest! I appreciate your kind comment and am so glad that you have found a few activities that you can use in your home. Take care! Thank you, Tiffany! I am so glad to hear that you are going to try some. I hope it all goes well. All the best to you! April, at the top of this page are all of the links to the other age groups-there is a page just for Infants! 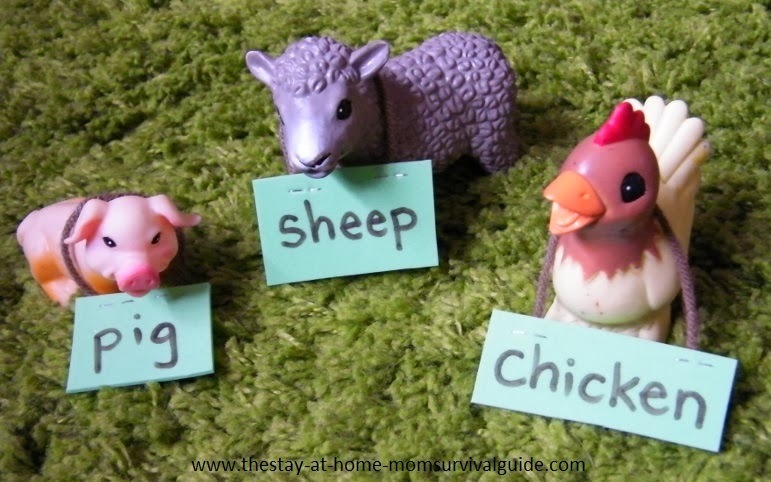 Here is the link as well: http://thestay-at-home-momsurvivalguide.blogspot.com/p/infant-activities.html. I am so glad that you have found these lists and let me know if some of the infant ideas work for you. I appreciate you commenting! I just came across your blog via Pinterest. 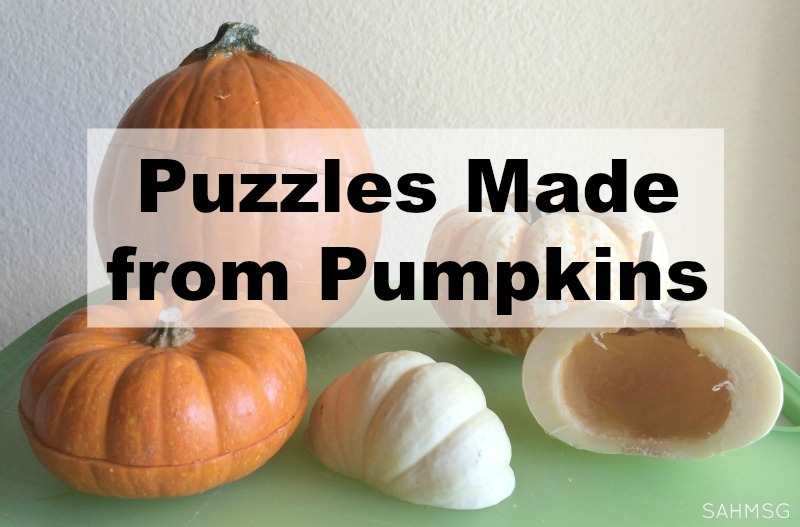 I am so thankful for your easy, cheap, educational, and FUN ideas! My son just turned 3 and I am a former kindergarten teacher but this is my first year of being a stay-at-home-mom! I am so excited to be home with my son and thankful for all your ideas! When he wakes up from his nap we are going to get right on the numbers and stickers activity! He LOVES stickers so this will be perfect! Thanks again! Erin, congratulations on being able to stay home! I hope you enjoy the time with your child. I really appreciate you commenting and sharing such kind thoughts about the activities. That is great news! I wish you all the best as you teach our youth AND raise your own. Thank you for your kind comment. 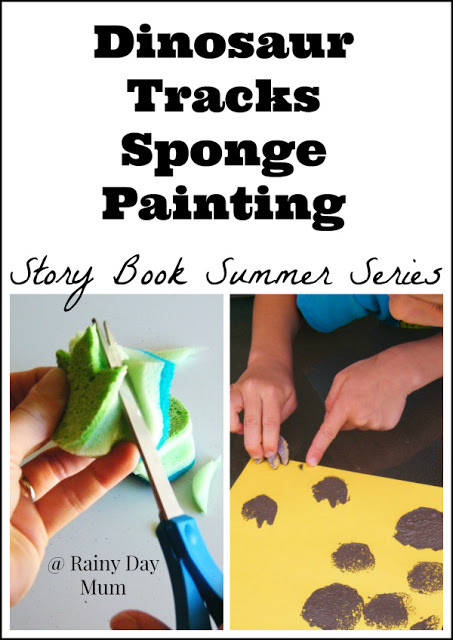 I just found these ideas today and I'm really excited to try some with my three year old. I'm a SAHM and I feel like he's just not interested in the learning books anymore. We tired 37. Cotton swab writing and he really enjoyed and stayed focused with it. Thanks!! Courtney, I am so glad to hear that! There is so much learning that takes place every day that we are often unaware of-it is not always sit-down lessons that impart the greatest knowledge. Hopefully these more open-ended activities that touch on multiple skills at one time will help maintain his interest for a bit. When my son was three we had to definitely make sure he was getting a lot of outdoor time in order for him to be relaxed and ready to sit for an activity or two. Some days we can get through a bunch, and some days one is almost too much for him to handle. I think patience is so important. Best to you! Thanks, Tiffany! I hope you found some that you can use. Great ideas! Thanks for sharing. Hoping to do a few activities a day. Thank you, Summer! I am so glad that you found a few that will be fun to try in your home. Thanks for your nice comment. 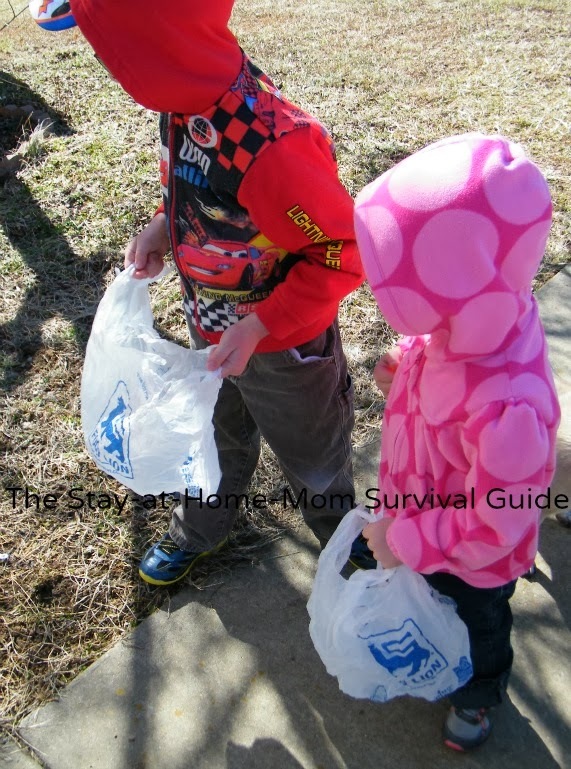 I completely understand how when we switch to "mom" we tend to focus on the house and daily chores. I do try to make the effort to focus on teaching them here at home, but I have days too where I get bogged down with household tasks. It's the nature of the job, I think. Using our teaching background is so helpful to keep our interest, benefit our children and not waste the lessons we learned. It is pretty rewarding to teach my own children, I do have to say! I hope you enjoy sharing your skills with your own child(ren)! These are AMAZING ideas! I can't wait to try them out with my daughter. Thank you! I am so glad that you found some that you can use in your home. Some take a few minutes to create, but they last for a while so you can change them out with others to maintain interest and maximize the time it takes you to create them. Enjoy your daughter and thank you for the kind words. FANTASTIC!!!! 🙂 Thanks for sharing with everyone~so helpful! Much Effective teaching elementary. I am sure lots of kids and their parents will find it useful. Thanks you did discuss with us.